In our new, post-recession B2B sales world, thinking only about how to close an active buyer can be a fatal miscalculation. It's a cold, hard reality: your customers typically spend less than 5 percent of their time engaged in the buying of products and services from you. In order to continuously drive sales, it is imperative to engage with would-be buyers during the 95 percent of their time when they are not buying from you. Learn how top-performing salespeople and account managers are driving sales success with new and innovative approaches for engaging more effectively with customers, developing and winning new opportunities, and growing and sustaining customer relationships. Understand how to explore possibilities, envision success, and facilitate collaborative discussions with your customers in the "pre-opportunity" phase-when they're not buying-and how to focus on the things that matter most to contemporary buyers. Build trust-based relationships with buying and decision teams that establish an unshakeable foundation for mutual value creation, and develop customer-specific messaging that aligns your solutions and value with your customer's success. Do you really expect your customer to respond favorably if you only show up when they're buying something? Relationships matter. 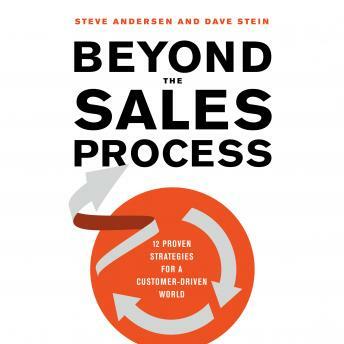 Reinforced by research from Aberdeen Group, SAMA, ITSMA, and other experts, this evidence-based book gives you practical, proven methods for effectively positioning and differentiating yourself in an unprecedentedly competitive sales environment...enabling you to grow with your customers, and take your sales performance to a whole new level.